RDMS by GRT provides immediate logistical and operational support for Emergency Response Management & Disaster Recovery Teams even in the most extreme environments. RDMS by GRT, a Global Enterprise Mobile Field-Data Workflow Technology, is a highly stable and secure mobile data solution which collects, shares, and manages field-data faster, easier, and more effectively. RDMS by GRT is a revolutionary technology that saves lives and has more than proven itself in the harshest conditions of Marine Corps field operations in East Asia, the western Pacific, and Haiti. Global Relief Technologies (GRT), a global leader in Mobile Field-Data Workflow Solutions for Emergency Response Management & Disaster Recovery Organizations, recently helped both the State of Texas Division of Emergency Management and the Texas Forest Service address immediate logistical and operational support needs with the use of their proprietary Rapid Data Management System (RDMS) Mobile Technology. Rapid Data Management System (RDMS) developed by GRT is the only technology that has always proven to empower people, organizations, and Emergency Response Management & Disaster Recovery Teams across the globe with guaranteed informed decision making in even the most severe circumstances. 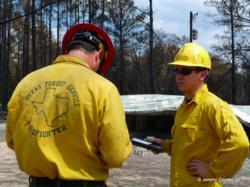 In response to a wildfire which lasted two weeks and left Bastrop, Texas devastated, destroying 34,000 acres of land and over 1,600 homes, Global Relief Technologies (GRT) arrived at the scene with its mobile field-data technology solution, Rapid Data Management System (RDMS), which was been successfully utilized for Emergency Response Management & Disaster Recovery Efforts all over the world since 2003. To assist relief efforts, GRT and its strategic business partner Verizon Wireless donated Samsung Galaxy Tablets to the State of Texas Division of Emergency Management and the Texas Forest Service and ensured they were all fully equipped with RDMS by GRT technology and were up and running on the world-class Verizon Wireless network. In the month following the disaster, the State of Texas Division of Emergency Management and the Texas Forest Service were able to collect a record number of damage assessments. As a result of their engagement in the Bastrop Wildfire Operations, Global Relief Technologies (GRT) has been able to secure an ongoing relationship with both State of Texas Divsion of Emergency Management as well as the Texas Forest Service. The State of Texas Division of Emergency Management particularly liked the broad array of RDMS by GRT features which include an easy-to-use intuitive graphical user interface, 100% real-time two way communication, a Workflow Rules-Engine which guarantees structured data validation and improved accuracy in the data collection process, complete GPS/GIS integrated mapping capabilities, as well as the ability to be configured without difficulty to meet each user’s specific requirements while maintaining the highest levels of security. Rapid Data Management System (RDMS) by GRT is a highly secure and reliable Global Enterprise Mobile Field-Data Workflow Solution which offers significant operational cost savings, simplifies work processes, and provides the capability to easily capture critically needed “structured” and “accurate” field-data that is vital to successful operational decision making and performance, especially in the most extreme environments and disasters. RDMS by GRT helps Emergency Response Management and Disaster Recovery Organizations improve their capability to prepare for, protect against, respond to, recover from, and mitigate all hazards and threats. Rapid Data Management System (RDMS) by GRT provides Emergency Response Management & Disaster Recovery Teams the ability to access, manage, analyze, and share key data and business information in those chaotic hours and days following a disaster. 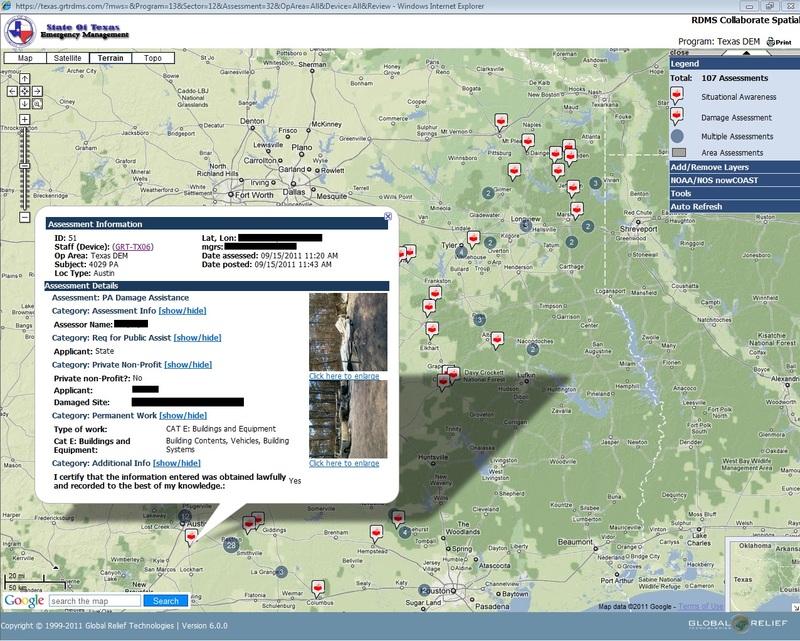 Armed with this real-time information, authorized Emergency Response & Disaster Recovery Management personnel can accelerate business and operational decisions, can significantly improve operational productivity and performance, and can allocate resources more effectively which can ultimately result in saving more people’s lives. RDMS by GRT also offers the necessary ability for Emergency Response Management & Disaster Recovery Teams to stay connected 24/7 with the option of using Broadband Global Area Network (BGAN) Satellite Communications when wireless or other modes of connection are not available. Emergency Response Management & Disaster Recovery Organizations seeking to deploy enterprise-level mobile data collection and analysis solutions to the field can now benefit from GRT’s experience launching, managing, and supporting thousands of devices worldwide. GRT has a history of success rapidly collecting over 500,000 highly accurate assessments all across the world including China, Chile, Nicaragua, Haiti, Philippines, Thailand, and the United States. In fact, through a subcontract with the Raytheon Company, RDMS by GRT’s logistics solution is being used by the US military in Iraq and Afghanistan to support systems that protect military and civilian personnel.